Information gathered here is for the sole purpose of communication between you and Brunswick Scuba. Information will not be sold or maintained other than for this intension. Retired, Thank yor for all you have done! NOTE: Each individual herein are independent professionals with their own insurance and setting their own schedule. While we do enjoy working together uunder the Brunswick Scuba umbrella introducing or advancing diver education. 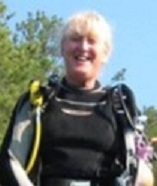 The only full time employee of Brunswick Scuba, LLC is Dalelynn L. Sims. 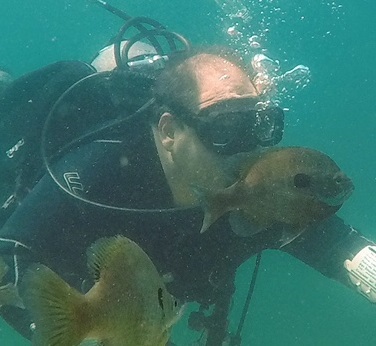 Brunswick Scuba provides these individuals as requested, shop use, training facility and other items, as well as a face on the web as they are both true professionals and friends. This we hope will increase the contact potential of you finding someone in your area or a diving professional that is a match to your needs. They can be contact directly via email, just select the respective photo or visit their web site. Thanks to a great group of individuals and friends who are always ready to step in and assist Brunswick Scuba, one another, and more importantly help YOU learn just how wonderful scuba diving and the aquatic world can be. 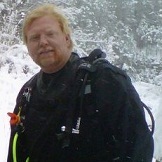 Dive Professionals where all we do is training. Why not train with the best? While using the Brunswick Scuba site you may be required to complete forms that ask for certain personal and contact information. These types of forms include our feedback and product order or information request forms. Information collected on the forms is used for its intended purpose as described on the form and to make improvements to the user experience on the site. Brunswick Scuba will not provide access to personal information to third parties not associated with Brunswick Scuba. Brunswick Scuba will not sell or rent your personal information to any party. We do reserve the right to disclose such information in response to court and governmental orders, subpoenas, and otherwise as required by law. For your convenience, our Web site may contain links to other sites. Brunswick Scuba is not responsible for the privacy practices or the content of such Web sites. Brunswick Scuba may send email to inform you of exclusive information about special offers, new products and much more. If at any time you would like to stop future delivery of Brunswick Scuba e-mail, please follow the removal instructions located at the bottom of each message. Asking to be removed from email will not prevent you from receiving email confirmations for any order you place at Brunswick Scuba.